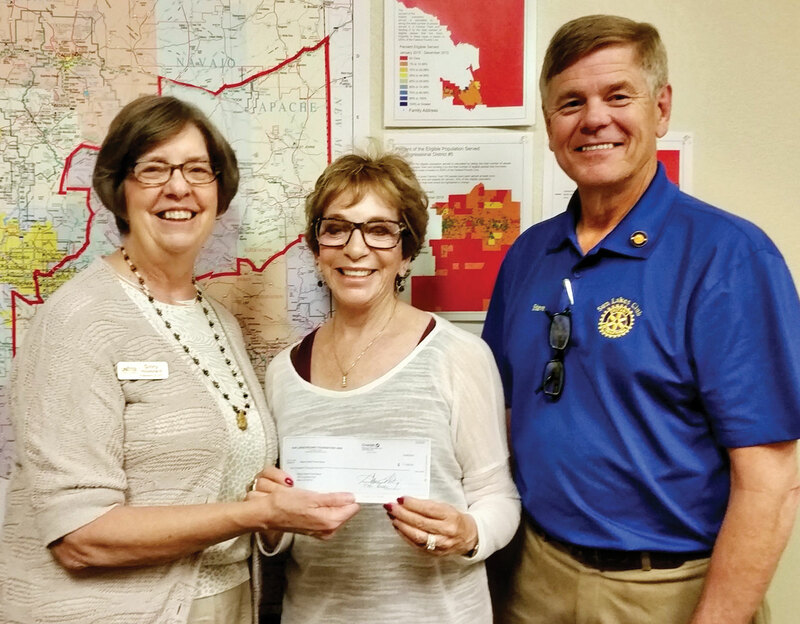 Pictured are Rotarians Terrie Sanders and Steve Perkins presenting a $1,030 check to Ginny Hildebrand, the CEO/President of the United Food Bank. The presentation was made April 7 at Food Bank headquarters in Mesa. The Sun Lakes Rotary Club joined six other Valley area Rotary Clubs in contributing $1,030 each for a total of $7,210 to the UFB’s milk fund. This is the second year Rotarians have combined their efforts to assist United Food Bank in feeding hungry households in eastern Arizona. This is one of UFB’s most needful funds as milk has a very short shelf life and requires refrigeration. UFB is consistently growing and now works with 205 community partner organizations. It serves eastern Maricopa, Pinal, Gila and southern Navajo and Apache Counties – 19,608 sq. miles. They serve nearly 95,000 meals per day. Families served must be in financial need and deemed “food insecure.” Such families or individuals normally do not qualify for traditional government food programs like food stamps (SNAP). Milk is one of the most difficult products for food banks to acquire because it is perishable and has such a short shelf life. But United Food Bank has figured out a way to make certain emergency food boxes, especially those going to families with children, contain free milk. By partnering with Bashas’ grocery chain, UFB obtains one gallon milk vouchers, which are placed into the emergency food boxes. Once redeemed by the hungry family at a local store, the Food Bank pays with monetary donations the quarterly average price per gallon of nutritious milk. This is where 100 percent of the Rotarians’ contributions will be used. The funds contributed will cover just under half a year’s milk supply. In this region of Arizona, more than 225,000 people are known to be food insecure. 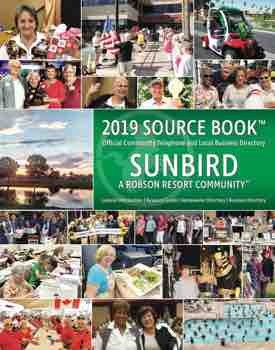 By working with local community partners, the majority of which are managed by volunteers, UFB will distribute more than 24 million pounds of emergency and supplemental food this year.